The philanthropic endeavors of the Greek Orthodox Ladies Philoptochos Society during the past seven decades is a genuine expression of Christian charity, which has embraced an enormous manifestation of love. This manifestation of love has been evident in the multitude of meaningful programs and activities undertaken during the seventy years of its existence. 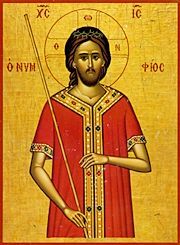 St. James, in his Epistle, Chapter 1, Verse 22, exhorts all Christians to be "Doers of the Word, and hearers only". The members of the Philoptochos are "doers". Their accomplishments are monumental and are recorded in the annals of every Chapter of the organization. Throughout the nation women's clubs were being formed: in New York City, Chicago, Lowell, Philadelphia, Birmingham, Boston, San Francisco, Washington, D.C., St. Louis, Milwaukee, Newark, and wherever there were Greek Orthodox Churches. In 1909, a Philoptochos Society was formed in Chicago, utilizing the facilities of the Hull House, a social center, as its headquarters. Miss Jane Addams, a fervent phil-Hellene, was the director and founder of Hull House, and rendered immeasurable services to the Greek community. The first tangible evidence of the benevolence of Greek women was officially recorded on June 29, 1920, in a volume edited by the Rev. Dr. Demetrios Constantelos, in a compilation of encyclicals of the Greek Orthodox Archdiocese, spanning more than seventy years: "Encyclicals and Documents of the Greek Orthodox Church of America - the First Fifty Years". A document included in this volume is a letter addressed to Archbishop Alexander of Rodostolou from Mr. J.P. Xenides, who was the secretary of the Relief Committee for Greeks of Asia Minor. The letter thanked the Archbishop for contributions received, among which was a $200 donation from the Greek Women's Benevolent Association of Chicago. This was in response to the appeal Archbishop Alexander had sent to the Churches and individuals - probably in 1919 - urging the Greek Orthodox in America to deprive themselves in order to send a generous contribution to the victims of Turkish "barbarism". After several years the State of New York granted a Charter to the Holy Trinity Philoptochos Society in New York City which was received on July 23, 1928. This Charter or Incorporation was issued under the Membership Corporation Law, in the name of the "Greek Ladies Philoptochos Adelphotis of New York, Inc." thereby recognizing it as a local philanthropic organization. With the convening of the Archdiocese Fourth General Assembly in New York City in November 1931, the Philoptochos Society was an important item on the agenda. A decision was taken to establish a national women's organization as the official philanthropic auxiliary of the Church, merging all of the existing chapters, which numbered more than 300, to function under the Archdiocese constitution with specific By-laws issued for the Philoptochos. For the next several months, the Philoptochos Societies continued their work, aiding the sick, the needy, the poor, the imprisoned, and the impoverished. They served on educational committees, organized choirs, baked the "prosforo", sewed the Altar cloth, offered friendship and fellowship to newcomers, and supported a variety of civic and community programs to raise funds for their respective parishes. The Archbishop expressed his "joy" for the opportunity to "send this important communication to the Greek women of America". He acknowledged receipt of the documents on the organization of the "Adelphotis - Sisterhood, in accordance with the Constitution of the Archdiocese" and the ratification of the Society's elections. "The Fourth General Assembly of the Archdiocese, convening at the Annunciation Church in New York City from November 14 - 20, 1931, voted this authority and ratified a Constitution which will be of valuable assistance to you." The encyclical also stated that in Article 9 of the By-laws under the Constitution, required that the Priest serve as President of the Philoptochos in order to offer counsel to the local organization. The officers of the local Philoptochos chapter shall be elected by its members, according to Article 9. The Archbishop requested that the "Philoptochos plan many events for the entire family, featuring music, lectures, performances, sponsoring bazaars and the St. Basil's pita, charging a small admission fee and having a raffle. For the children, develop a separate club under your Chapter, which should have its own President, present children's observances and meetings, so that the youth will become accustomed to your good example and will be of greater interest to them". He asked that they study the By-laws and implement them for edification of Greek Orthodox Christians in America. "The Archdiocese has acquired two homes and orphanages at Pomfret, Connecticut, and the St. Stefanos Monastery at Gastonia, North Carolina. It is urgent that we establish a children's home and orphanage and I would be happy if you would undertake the sustenance of the orphans of the community." Luncheon was available at a cost of .50 cents. Dinner at a cost of .75 cents. A letter from His Holiness Patriarch Photios was read to the delegates and elicited great joy among the ladies. Archbishop Athenagoras addressed many communications to the women, over the years, offering suggestions, counseling their efforts, praising their accomplishments, as he did on June 17, 1936, stating in an encyclical to the Priests, Board of Trustees and all Greek Orthodox Christians in the Archdiocese: "the mission promoted by the Philoptochos in many parishes has accomplished miracles". On another occasion the Archbishop offered many suggestions to increase the membership of the Philoptochos in order to aid the poor. He asked that the ladies be concerned for the school and the students who are poor; he asked that the Feast day of Saints Cosmas and Damianos, which is observed on November 1st, be designated as the Patron Saint of the Philoptochos (unless the local chapter has another patron Saint already designated); and he asked that the organization observe "Brotherhood Day, Thanksgiving Day, Halloween, the Christmas Tree, and the St. Basil's Pita". On July 17, 1936, Archbishop Athenagoras, in an encyclical to the Greek Orthodox community, expressed concern for the education of the youth. He asked that a survey be undertaken to learn how many Greeks were members of the parish and how many were not; how many Afternoon Schools and Sunday Schools were functioning and how many parishes had Philoptochos Chapters. He urged the establishment of Afternoon Schools and Sunday Schools where they did not exist and organize Philoptochos Societies in their respective communities. He further asked the Philoptochos, if at all possible, to take responsibility for both of these schools. The Holy Cross Theological School was founded in June, 1937, in Pomfret, Connecticut, by Archbishop Athenagoras who announced to the Philoptochos Society that it would begin functioning the following September. The Archbishop directed a special appeal to the Philoptochos to "devote" themselves to the Theological School, "where your children will be educated as teachers and priests". He exhorted the Greek women to prove once again "your strong faith and you will triumph" by undertaking this worthy project. The Ladies Philoptochos Societies accepted the challenge. Throughout the Theological School's history, the Philoptochos has contributed generously in numerous ways. One famous event was the "fasoulatha" dinners held in the Church halls with proceeds sent to the School. In his encyclical, Archbishop Athenagoras stated, "with the establishment of the Holy Cross Theological School, a new page has been turned in the history of the Greeks in America and the great role of the women will be recorded". In the ensuing years the Philoptochos was - and still is sixty-six years later - in the forefront of activity to aid the School and its vitally important programs. In a relatively short period following its establishment, the Philoptochos was engaged in a broad program of philanthropy, educational projects, emergency relief in the United States and Greece on a local and national level. Another glorious chapter in the history of the Philoptochos Society was the mobilization of its members to lend assistance to Greece following the invasion of Mussolini's armies in October, 1940. Prime Minister John Metaxas' dramatic "OHI" to Italy's request to surrender, resounded around the world. The Greeks in America felt great pride and love for their Motherland and rushed to help. The Greek War Relief Association, Inc., was launched by Harold Vanderbilt and Spyros Skouras with the blessings and cooperation of Archbishop Ahtenagoras. The Philoptochos undertook the enormous task to aid the courageous Greek people who were starving and suffering untold hardships. Hundreds of thousands of packages were shipped to the people of Greece, including food, clothing, medicine, blankets, hospital equipment and an ambulance bearing the name of the Philoptochos. Spyros Skouras of Twentieth Century Fox spearheaded the activity of the Greek War Relief. He arranged for a premiere benefit of the famous film, "Gone With the Wind" with the ladies engaged in the myriad of details for this event; a special "Tag Day" was initiated by the Philoptochos throughout the U.S. with the ladies soliciting contributions on street corners, restaurants, super markets and other business establishments, including the neighborhood theatres; many events and programs were organized with proceeds sent to the Greek War Relief; and "knit a sweater for a soldier" was a popular project. Sewing Centers were set up with the valuable assistance of the Council of Hellenic-Jewish Clothing Manufacturers which was headed by Joseph Josephs, providing hundreds of articles of clothing for children and adults in Greece. Heading this project was Mrs. Agatha Vernicos of London, as chairman, Mrs. Sophie Hadjiyanis and Mrs. Katy Vlavianos were co-chairmen, and the secretary was Mrs. Despina Vrachopoulos. The activity of the Greek War Relief continued for several years. With the entry of the U.S. in the war following Pearl Harbor, the Ladies Philoptochos devoted long hours to selling War Bonds, to the American Red Cross under the leadership of Dr. George Papanickolaou, who later developed the famous "Pap" test to detect Cancer of the uterus in women, and offering hospitality to soldiers on leave prompting the American Government to praise the efforts of the Philoptochos. On March 3, 1944, Archbishop Athenagoras announced that the Philoptochos Society had purchased the magnificent 250-acre Jacob Ruppert estate in Garrison, New York, at a cost of $55,000. It was choice property beautifully landscaped and situated on the shores of the Hudson River, opposite the West Point Military Academy. The Archbishop's dream had become a reality! He had attempted since 1932 to establish a Children's Home and Orphanage. Now, with the valuable assistance from the Philoptochos and the proceeds of the Vasilopita from the two previous years, the Ruppert Estate would become a haven for Greek Orthodox children. On March 15, 1944, the legal papers were signed and the Philoptochos took possession of the estate, which included several buildings. The Children's Home and School was placed under the direct supervision of the central Council of the Philoptochos. Still ahead to be accomplished were two huge tasks: the complete renovation of the buildings; and the legal status of the organization. The Philoptochos applied for and received a Certificate of Incorporation from the State of New York dated July 12th, 1944. With the approval of the Certificate of Incorporation by the State of New York, the Philoptochos Greek Ladies Societies, Inc. was recognized as a duly accredited national philanthropic tax exempt organization of the Greek Orthodox Church of North and South America, engaged in extending benevolence to the Greek-American community. In August of 1944, a special General Assembly of the Philoptochos Society was convened at St. Basil Academy and a new Constitution was adopted and new By-laws enacted. The next major task was the renovation and furnishings of the Academy's buildings: the main administration building, the Dean's residence, the classrooms and dormitories, the reception hall, and setting up a Chapel and recreation room. Modern equipment was purchased for the kitchen and laundry. In November, 1948, Archbishop Athenagoras was elected to the highest ecclesiastical office of the Orthodox Church: Ecumenical Patriarch of Constantinople. He departed for his historic See in January, 1949. During the years that followed Patriarch Athenagoras I bestowed the highest honors of his Ecumenical Throne on several dedicated Philoptochos Ladies by granting them the title of "Archontissa". During the first twenty years of its existence the Philoptochos Society's major accomplishments were recorded, among which were the Church's most important institutions: the Holy Cross Theological School (which moved to Brookline, Mass. ), and St. Basil Academy. Archbishop Michael was elected Primate of the Greek Orthodox Church in the Americas in 1949. Under his spiritual guidance, the Philoptochos continued its mission of humanitarian services. They assisted the Archbishop in establishing the Greek Orthodox Youth of America, and participated in an arduous campaign, launched by the Archbishop, to have the U.S. Government place the initials, G.O. on dog tags to accurately identify Greek Orthodox members of the Armed Forces. This was a remarkable accomplishment by the Greek Orthodox community. Archbishop Michael, in 1951, placed the administration, budget and supervision of St. Basil Academy under the Archdiocese. Since its establishment, the Philoptochos had been totally responsible for its operation. The Society continues to this day its dedicated support of the institution. A devastating earthquake shook the Ionian Islands in 1953 and once again the Philoptochos chapters rallies its forces to offer considerable assistance, sending food, clothing, medicine and financial support to the beleaguered people of the Ionian Islands. A new plateau was reached in 1956, when the Philoptochos National Conference, for the first time, was convened simultaneously with the Archdiocesan Clergy-Laity Congress in Washington, D.C. At this Conference the Philoptochos was urged to participate in local chapters of the United Council of Church Women. At the initiative and leadership of Archbishop Michael, an Old Age Home was founded in Yonkers, N.Y. in 1958. Among its founders were prominent Ladies of the Philoptochos, including Sophie Hadjiyanis and Katherine Zoullas. The Society organized many special fund-raising events donating the proceeds to furnish the rooms of the Home. Substantial support from the Ladies Philoptochos Society has continued to the present. During the Clergy-Laity Congress and Philoptochos Conference in Salt Lake City, Archbishop Michael became ill and returned to New York. He died shortly thereafter. Several months later the Old Age Home was named, "St. Michael's Home for the Aged" dedicated to the memory of its founder, the beloved Archbishop Michael.